A self cleaning litter box sounds like a dream come true. Do they work? Are they worth the extra cost? We all want to know if the cat is actually going to use a ​self cleaning litter box before forking out money because as cat owners we may have, well we probably have, already spent money on items that the cat totally ignores. 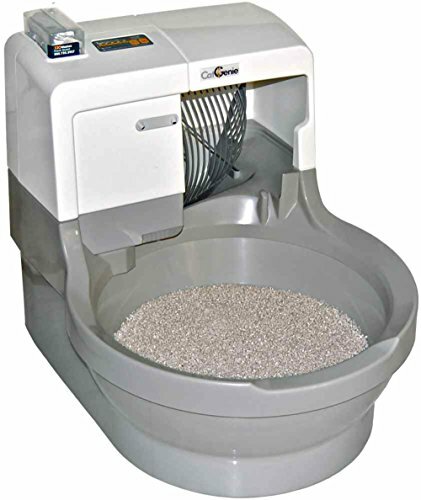 A litter box that self cleans, is a huge time saver for anyone,families, working couples and the elderly or if you are recovering from an illness or operation. Not having to clean the litter box gets a big tick. No more smells is also a good reason to get a self cleaning litter box. ​There ​will always ​be some odor however a self cleaning litter box just means that the clean up is dealt with straightaway. Some boxes are totally automatic and almost work like a flushing toilet, even plumbed to your toilet whereas others will collect the waste which you then dispose of later. We all have those days where life gets in the way and knowing the litter box is clean is a relief. 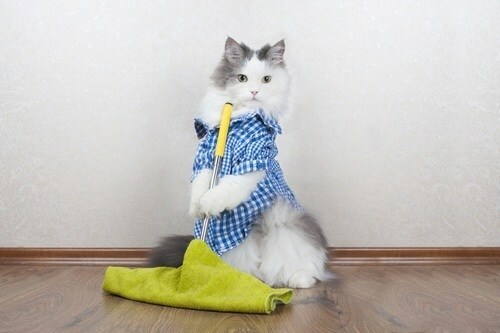 Cats are clean animals and they need a clean litter box. A dirty litter box can lead to litter box avoidance. There is also the hygiene aspect to consider. Just being that step removed from the actual cleaning is more hygienic for us, the humans and yes we have some rights too​. Seriously the less handling of waste means the more hygienic for us. Pregnant women should avoid handling litter. Great if you have small children or grandchildren. ​ Although obviously small children need to be supervised, a self cleaning litter box will at least afford some protection from the nasties that lie within. This system uses disposable litter trays so there is no need for you to come into contact with litter at all if that is your preference. The trays are removed from the bottom of the machine, covered with the supplied lid and disposed of. The tray is then replaced with a new tray. The litter box can be left alone for weeks at a time before it needs to be changed. This could be very useful when away on vacation. If a neighbor or friend is coming to feed the cat, they won’t have to worry at all about the kitty litter tray. The box needs to be plugged in, so must be situated near a power supply. The cord is 10 foot. Twenty minutes after your kitty cat uses the box the waste is raked into a covered compartment. If your cat should re-enter the box it is detected by safety sensors and the twenty minute timer resets to start at the beginning again. The litter used is crystal litter which is highly effective at absorbing urine and has very effective odor control. As a bonus crystal litter is low tracking and dust is almost non existent. This is for cats over 6 months old, however as it is a good idea to get little kitty used to the box it can be used unplugged and just scooped like a regular litter box until kitty is over 6 months. The box needs to be placed in an area that is not susceptible to high moisture, for example a bathroom a laundry or basement. This is because the crystals will attempt to soak up the moisture from the air and will mean the tray will need to be replaced more often. Avoid bathrooms or areas of high humidity. There is a trade-off that needs to be made for the ease of use of this box and that is having replacement trays at the ready. If litter really gives you the heebie jeebies this won’t be an issue but it is a consideration. This is the big brother of the scoop free box described above. It has a few more features. This box has a readout which shows how many times your cat has used the box. Now this may sound a bit unusual it is a really good idea for cats that have urinary tract infections to be able to keep count of their movements. It may also help to identify a problem that you are unaware of. This is particularly useful if your cat is getting older. You can choose whether you want the waste to be raked at 5, 10 or 20 minutes after the cat has used the box so there are a few more options with this model. It also has a privacy lid which can be removed. It is easy to remove and dispose of the trays so this can be a plus for some and a minus for others. You will need to keep a supply of the trays. These models that use power won’t work automatically if the power supply is interrupted. Be aware also that the rake will need cleaning at some point. 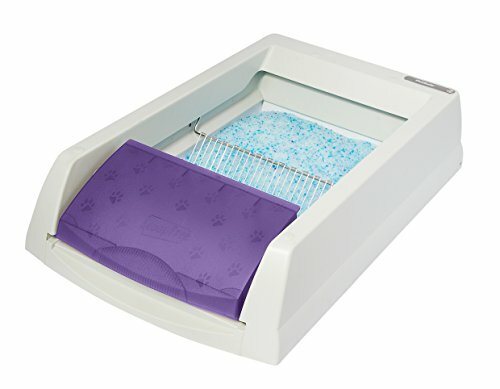 This is a self cleaning litter box but it is not totally automatic, you still need to do some work, however the clever design makes the job much easier. The price point it certainly a consideration as this product is considerable cheaper than the more automated versions. Notice how the box has a slightly curved bottom? The way this box operates is via a tipping motion to the side. The filter or grate separates the clean litter, which filters through the grate and leaves behind the clumps of soiled litter. The waste box is then removed, by gently pulling it out and disposing of the waste. It is a clever and simple way to avoid having too much litter duty. Firstly, make sure the hinges securing the top to the bottom are closed before tipping otherwise it won’t be pretty. If your cat doesn’t like lids, the lid can be removed and just replaced for cleaning. The plastic around the removable tray, the part that is pulled out to remove the waste, can become worn. We suggest taking care when removing and replacing the tray, without using excess force, to prolong the life of the product. 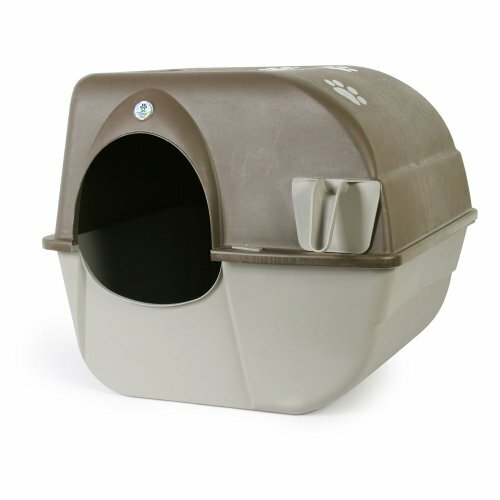 This deluxe litter box does need some basic DIY plumbing which is not difficult. The video below shows how to set up the Cat Genie and also shows the exact measurements of the unit. 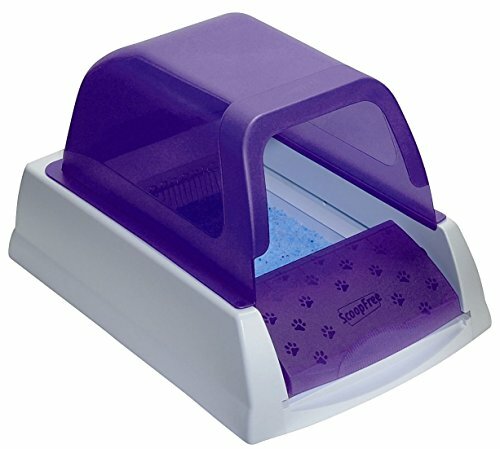 When you purchase this litter box, a SaniSolution cartridge and one box of washable granules are included. This litter box or cat toilet flushes away waste and then washes itself clean. There is no litter as such, but washable granules. The toilet is programmable. removes and liquefies the solids which are then flushed down the drain or toilet. ​The unit and granules are then washed and cleaned automatically using water and SaniSolution. The drier dries the granules and the unit is ready to be used again. The brand new self cleaning litter box arrives, it is set it up and in theory that will be that. Kitty will be enamored of his new litter box and trot off to do his business. But no, he won’t use the box. This should not come as a complete surprise as cats can be resistant to change - stating the obvious I know. Anyway, sometimes we have to be a little bit stern to get our way. Keep the old litter tray so that it can still be used but don’t keep it as fresh as a daisy like it normally is. Cats are clean animals and they want a nice clean litter tray. Eventually as the old litter tray starts to get a bit on the nose, kitty will decide, that the new beaut model is looking and smelling mighty attractive (good decision kitty). Then you can stealthily remove the old litter box but not too soon. This may take some perseverance on your part but be strong - you can do it. For almost total automation, the PetSafe products are an excellent choice. For the creme de la creme​ ​of automated litter units the Cat Genie has a higher price point but is truly automated​ and an amazing piece of design to make life easier for any cat owner. ​Kitty litter is a never ending story. We ​need it!​ ​We may have a love/hate relationship with litter​ but we can find ways to make it a minimal issue in our lives. ​A cat litter mat stops litter from being spread through the house and you can also shake any trapped litter back into the box. Win! Win! ​Read the two awesome tips to ​make vacuuming litter easier plus arm yourself with all info to ​choose the best vacuum for kitty litter. Previous Post The Most Awesome Gift For A Knitting Cat Lover Is A Cat Yarn Bowl Next Post What Is Best For The Cat – Scented or Unscented Litter?